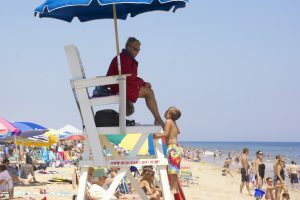 Does your son have a summer job? In 1978, 60% of teens had summer jobs; today, that number hovers between 35 and 40%. Years ago, getting a job was an expected rite of passage for teens. In today’s hyper-competitive world, more and more parents focus time, attention and energy on “enrichment” activities designed to help children become attractive college applicants. But summer jobs are a great way to help boys confront RISK and develop RESPONSIBILITY, RESPECT and REVENUE. Thanks to a tight labor market in many parts of the country, there are still plenty of jobs available for teens and tweens. In this episode, Jen & Janet discuss how to support your son’s entry into the world of work. Coming NEXT WEEK: We talk to 12-year-old Sam about his lawn care business. And, as always, enjoy the uncut version of Janet and Jen – sometimes trying to figure out what to say – here on Youtube.